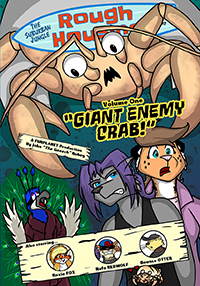 Suburban Jungle: Rough Housing Volume 1 "Giant Enemy Crab!" 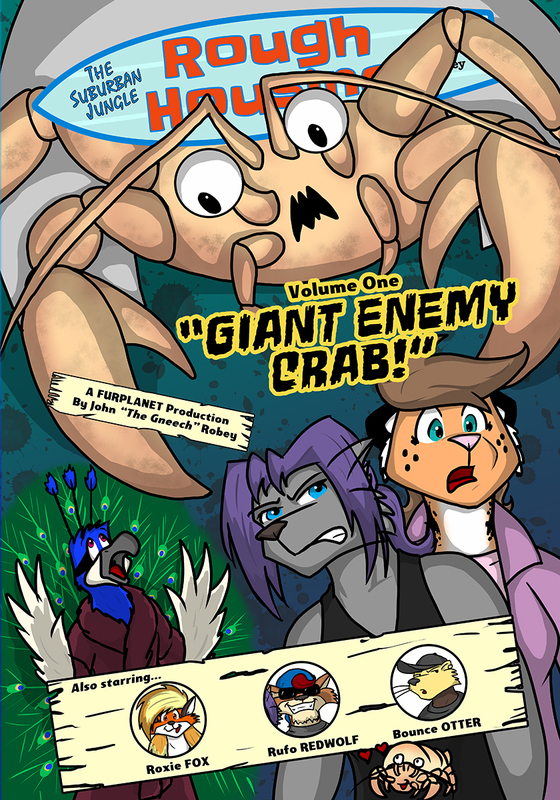 With an all-new story, twenty(-ish) years after Tiffany Tiger burst onto the scene! Charity Cheeger, daughter of Dover Cheetah and Comfort Tiger, comes to the seaside tourist town of Missing Keys to take charge of her Uncle Leonard's new hotel and bar—only to discover that the place is falling where it stands, and the staff range from "unhelpful" to "downright deranged." Can Charity whip the place into shape before Leonard gives up and sells it out from under her? And what is… The Curse of Cangrejo Diablo? 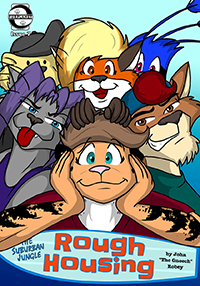 Furry fun in the sun and silly seaside shenanigans from the creator of The Suburban Jungle (Starring Tiffany Tiger)!